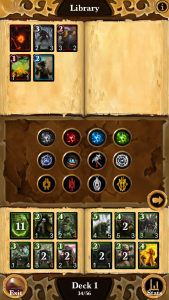 You can filter the cards with three sets of filters based on color, rarity and card type. You are limited to a certain number of cards in your deck based on your player’s Intellect. You are also limited to 3 of each card, unless your Intellect is 15 or greater, in which case that increases to 4. This limit does not apply to Aeon cards. 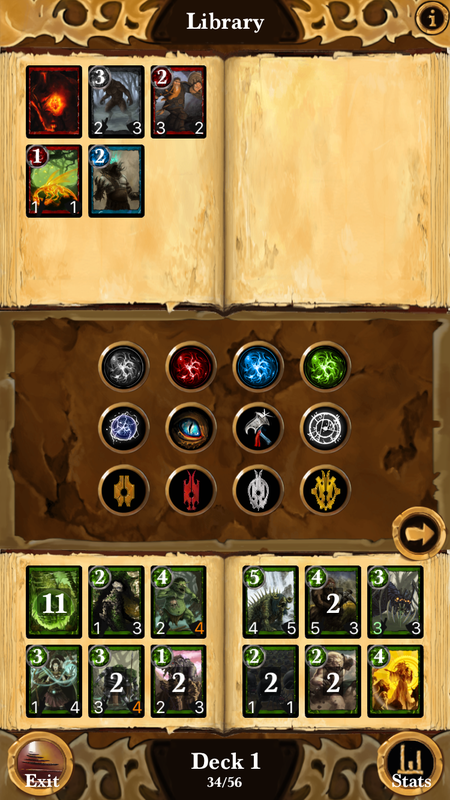 Information about the deck can be displayed showing statistics regarding color, type, rarity and cost.